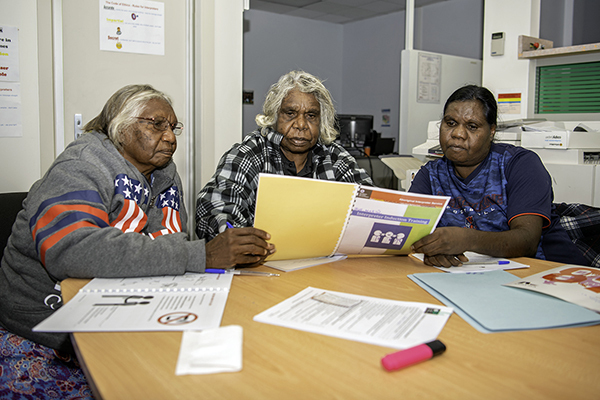 The Remote Aboriginal Governance and Capacity Building Grant Program is available to support remote communities across the Northern Territory to strengthen their capacity and capabilities to actively enhance their governance, leadership and operational processes and structures to meet their community aspirations. increasing community input into service delivery. your organisation or submitted project must be based in a remote area. Remote means outside Greater Darwin, Nhulunbuy, Katherine, Tennant Creek and Alice Springs and is inclusive of town camps and homelands. your organisation must be an Aboriginal enterprise, organisation or partnership, or a not-for-profit organisation. You cannot apply if you are an individual or government agency, body or enterprise. For small projects with a total value of less than $20,000. Grant funding will be up to 100 per cent of your eligible project costs. For projects with a total value of more than $20,000. Grant funding will be up to 75 per cent of your eligible project costs to a maximum of $50,000. You can apply now until 3 May 2019. To apply for one of the grants follow these steps. Step 1. Review the Remote Aboriginal Governance and Capacity Building Grant Program guidelines. Step 2. Fill in the Remote Aboriginal Governance and Capacity Building Grant Program application form. Step 3. Send your application by email or mail. You will receive confirmation in writing that your application has been received.